Snowboarding season is around the corner and the slopes are beginning to receive some snow. Of course, you've gotta come correct with the gear and Drop is here to help you with that. 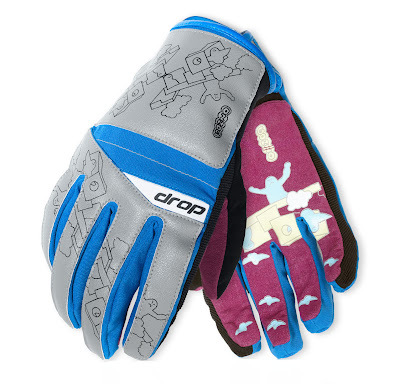 They've launched their "DPI" (Drop Pure Inspiration) series of accessories and apparel. Each year Drop will feature artwork from a different artist on their gear. 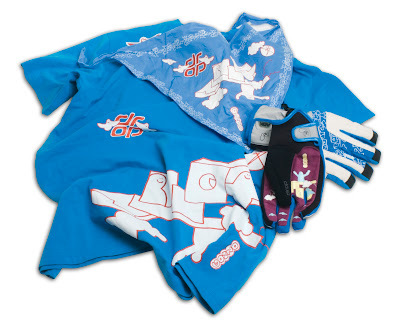 To start off this new campaign, skateboard heavyweight Mark Gonzales kicks off the 08/09 season with his work on a limited edition run of gloves, bandana mask, and t-shirt. Click here to learn more of this collaborative initiative bringing action sports and the artist community together into clothing. also a world-class artist and accomplished poet. His artwork and board graphics have been a staple in the skateboarding industry for the past twenty years, and his work has also been featured in renowned galleries spanning the globe.